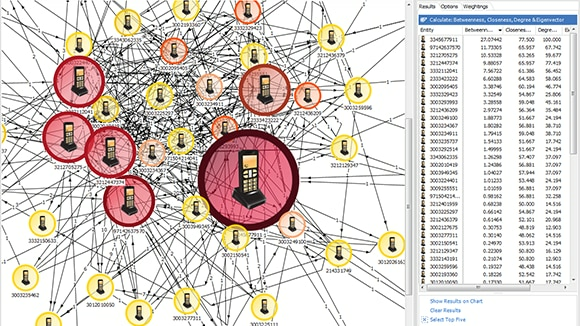 IBM i2 Analyst's Notebook is a visual analysis tool that helps you turn data into intelligence. 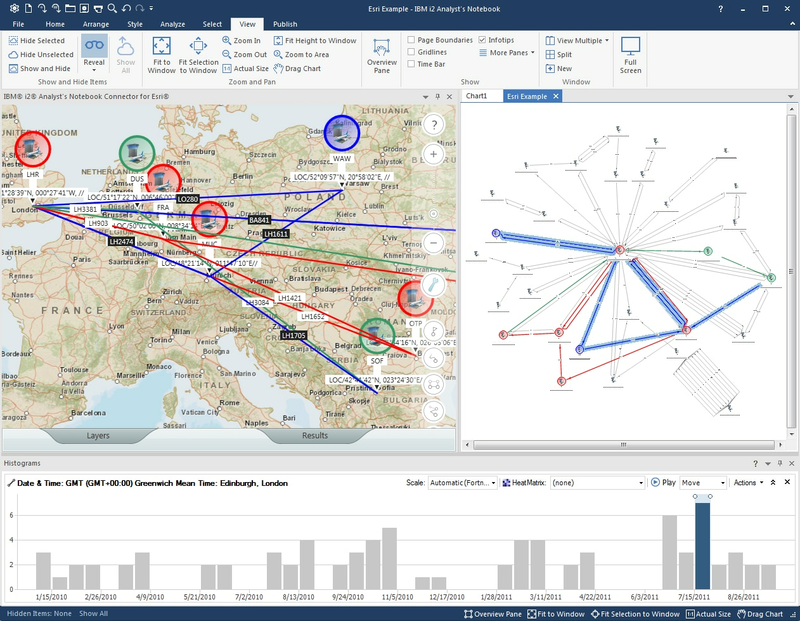 The solution provides innovative features such as connected network visualizations, social network analysis, and geospatial or temporal views to help you uncover hidden connections and patterns in data. This insight can help you better identify and disrupt criminal, cyber and fraudulent threats. 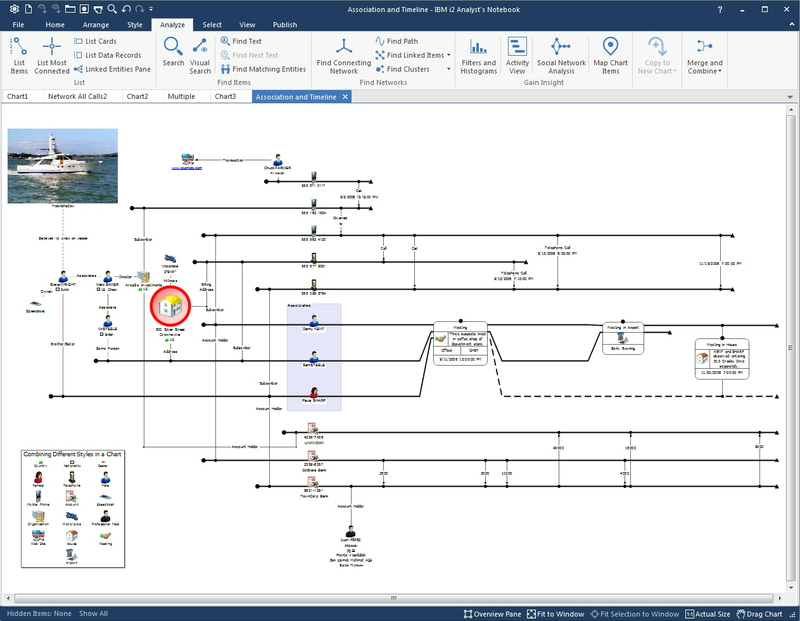 Perform analysis of a wide range of data types with a flexible data modeling and visualization environment. 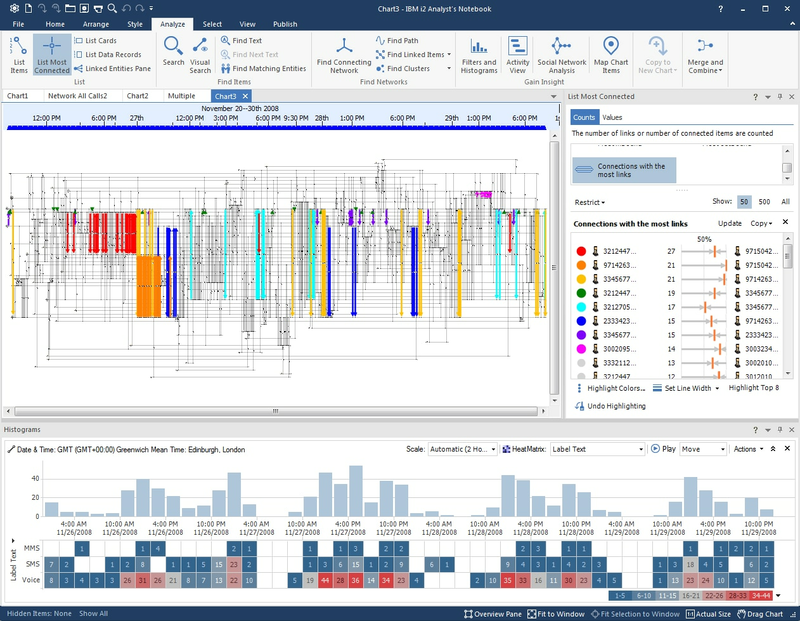 Gain insight into and deeper understanding of data using multiple analysis views including association, temporal, spatial and statistical views. 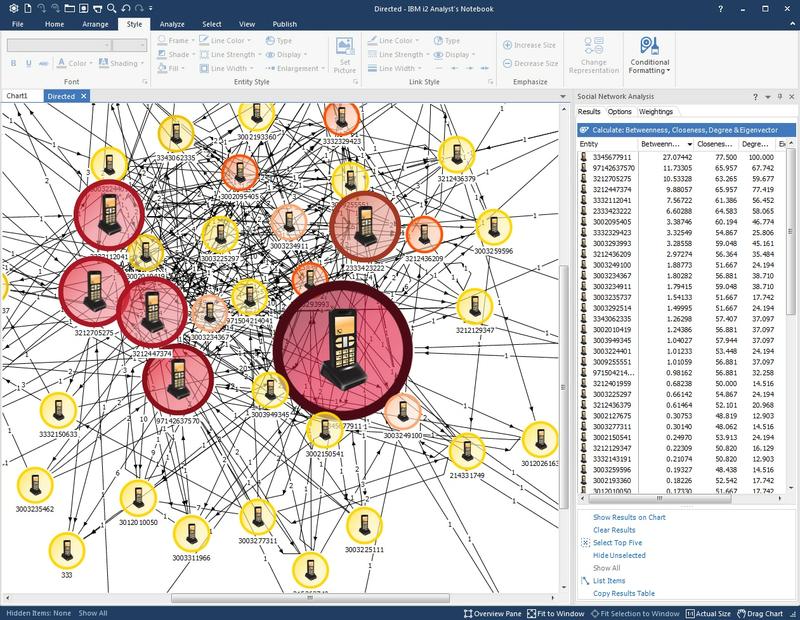 Use integrated social network analysis capabilities to increase understanding of the structure, hierarchy and method of operation of criminal, terrorist and fraudulent networks.